‘The Door Behind the Door’ transforms The Black Ryder’s kaleidoscopic sound and vision into something even more vivid, uncompromising, and sublime, bringing in new textures and emotions and moments of catharsis and transcendence. 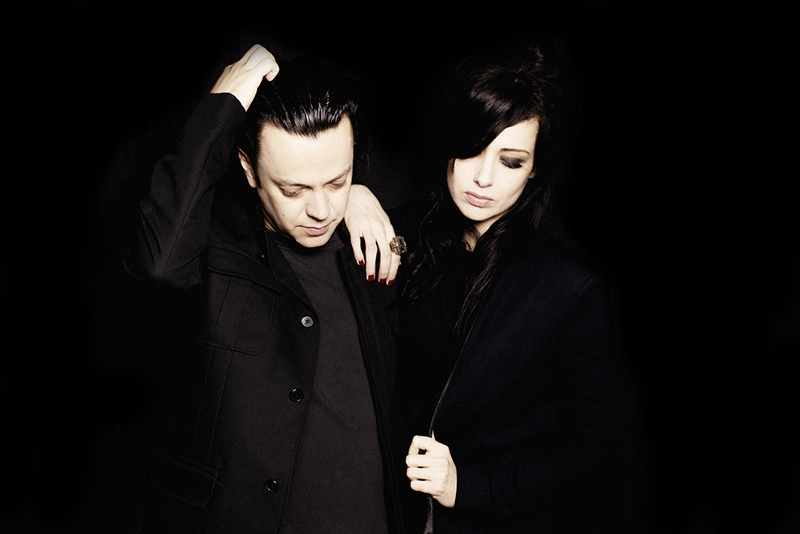 The Black Ryder is a collaboration between Australian duo Aimee Nash & Scott Von Ryper now based in Los Angeles. Their debut album ‘Buy The Ticket, Take the Ride’ was released through Nash & Rypers own imprint The Anti-Machine Machine & EMI Music (Australia), Mexican Summer (USA) in September 2010 & Vinyl Junkie (Japan). Their highly anticipated follow up ‘The Door Behind the Door’ was released internationally through The Anti-Machine Machine & The Orchard on 24th February 2015. PITCHFORK: The moaning feedback drone in “Seventh Moon” has the gorgeousness of a Neil Halstead lead, “Let Me Be Your Light” has a candy-kissed psychedelic swirl, strings and all, that serves as the perfect backdrop for Nash’s whispery vocals, and “Until the Calm of Dawn” brings to mind the acid-fried Disneyfications of prime Mercury Rev, with a twinkly music box set against a sweeping orchestral arrangement. THE GUARDIAN: The Door Behind the Door, is beautifully slow burning, its grinding guitars and heavy layers of dark, feted romance akin to Spiritualized and the Jesus and Mary Chain. NOISEY: The Black Ryder tends to swirl together breathy post-rock crescendos, plaintive shoegaze melodies, and psychedelic sprawl to create a greater, sprawling whole. The LA-based Australian duo (comprised of former couple Aimée Nash & Scott Von Ryper) does so to great effect on its latest record, The Door Behind the Door. UNCUT MAGAZINE: 8/10 – Nu-shoegazers trip the dark fantastic. Offering black-on-black swirls of hypnotic psych gloom, The Black Ryder’s belated follow-up to 2009’s ‘Buy The Ticket, Take the Ride’ is a heavy trip indeed… constructing intricate mini-universes of MBV-like noise on the brilliant ‘Let Me Be Your Light’ or exploring Primal Scream-ish acid-soul on ‘Throwing Stones’. STEREOGUM: Ethereal drone, ceremonial percussion, and dead-eyed harmonies carry on together until they build up to something sublime. There’s never really a climax because the whole thing feels like one overwhelming wave of gorgeous noise. LOUDER THAN WAR: The Black Ryder have been making a great psychedelic noise for past few months that has culminated in their new album which will be their breakthrough moment. They sound like the greatest band that Creation never released in their golden period and their blissful tripped out indie perfection is quite magical.